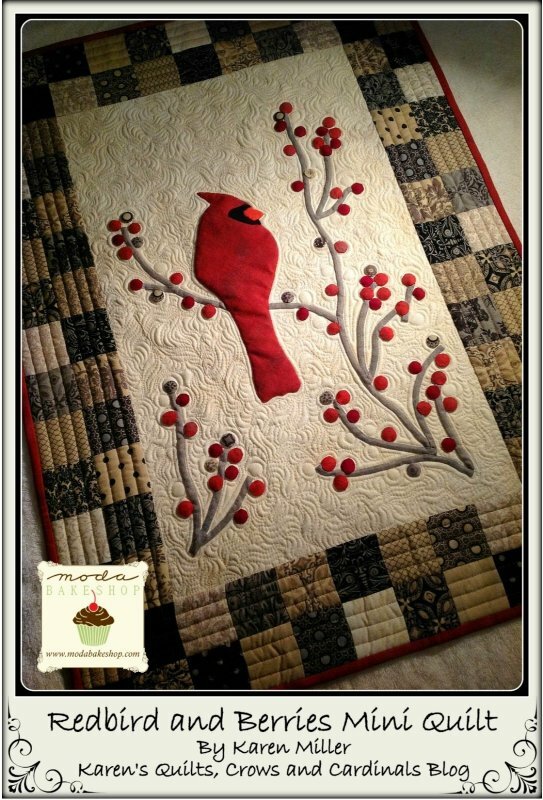 "Greetings Moda Bake Shop readers and Happy New Year! It's Karen from Karen's Quilts, Crows and Cardinals Blog excited to share the "Redbird and Berries" mini-quilt with you! "Oh so luscious Mini Charms of Little Black Dress 2 by BasicGrey were used for the border of this cute little wall hanging while scrumptious coordinating Grunge fabrics were used for the background and applique pieces. 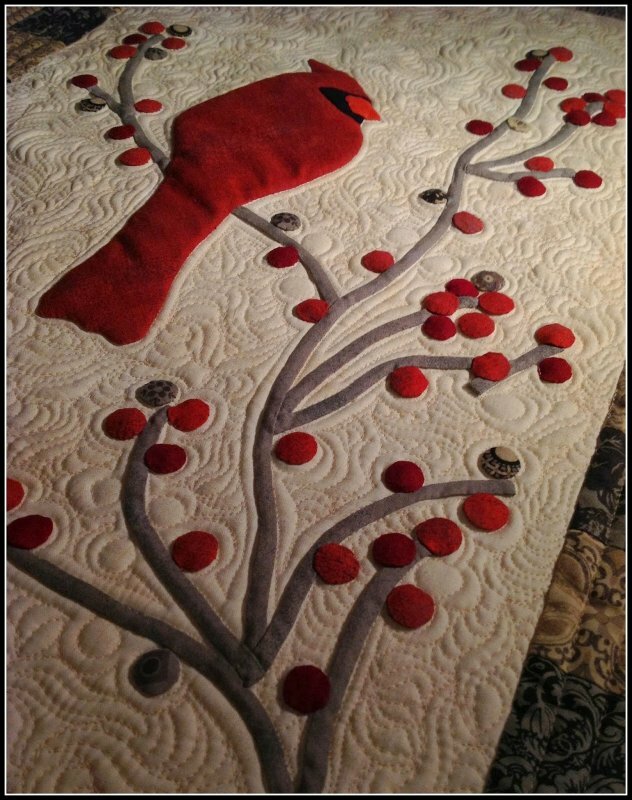 "The recipe includes a bit of piecing, applique, free motion and straight line quilting. You'll also learn to make Perfect Circle berries and bias stems. I hope you find the variety intriguing because when you're done the mini quilt will *Charm* all who see it!"